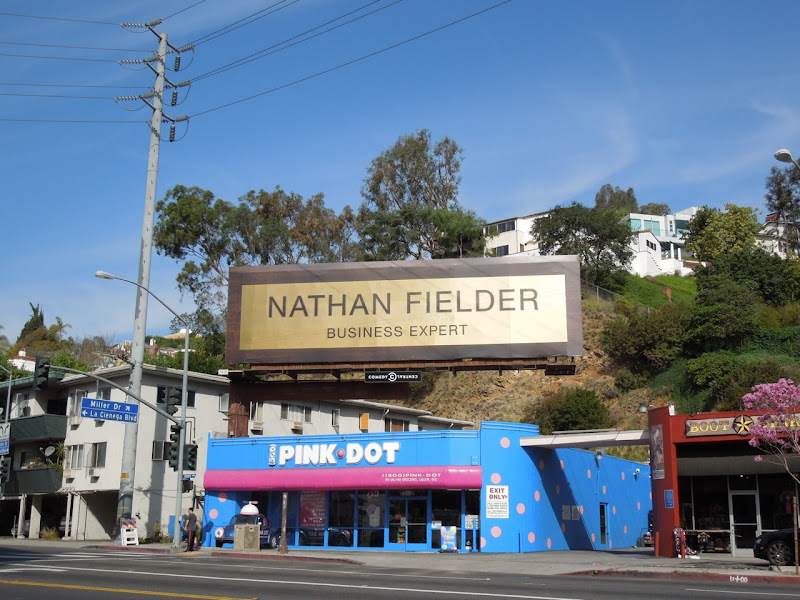 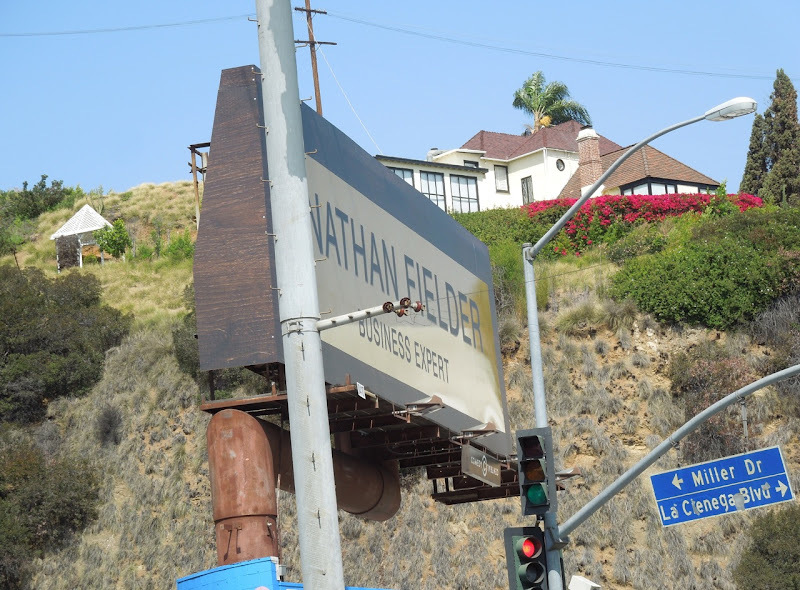 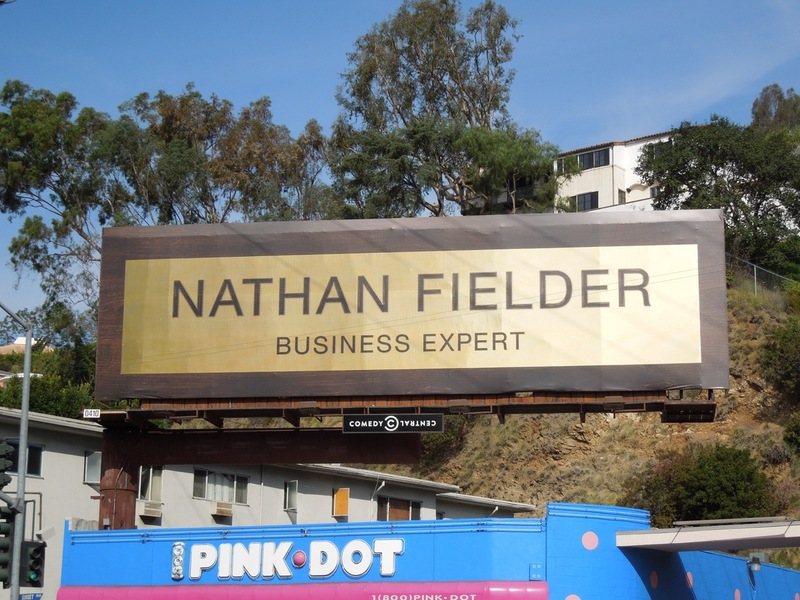 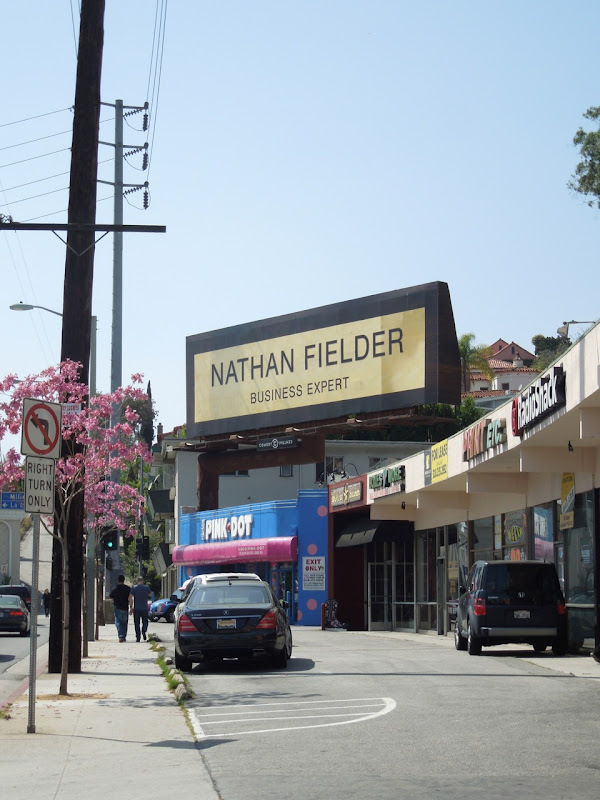 Comedy Central are always willing to push the boundaries when it comes to their advertising, like this recent example for comedian Nathan Fielder's docu-reality series Nathan For You. 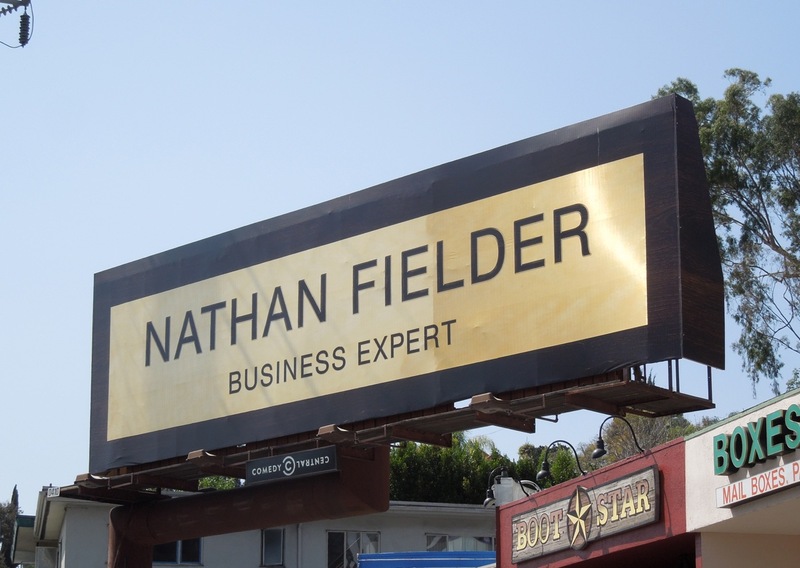 This simple and clever billboard is fashioned like an office desk name plate with gold foil for extra stand out (and side-hinge extensions) and it certainly catches your eye when the sun hits it. 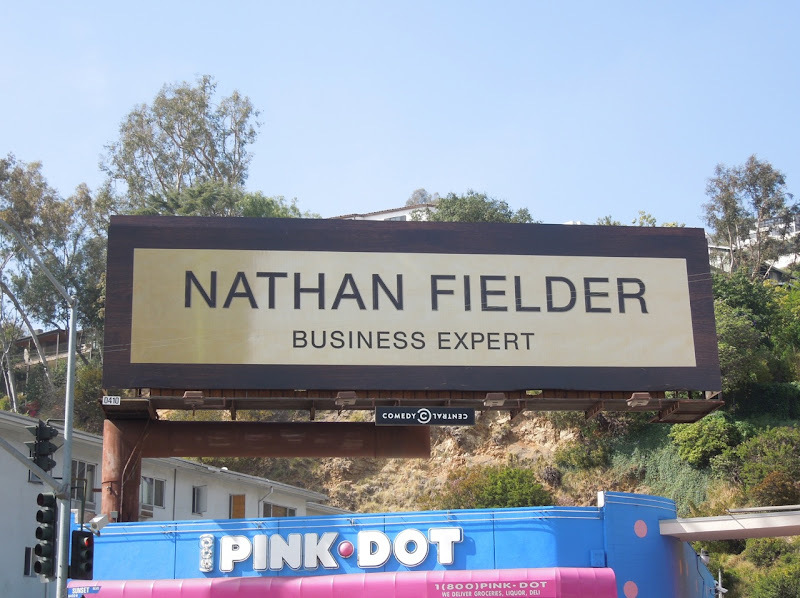 You're also left wondering 'Who the hell is this guy?!?'. The concept certainly fits with the show's premise, where the Canadian comedian helps real-life struggling businesses with his hair-brained schemes, obviously with comic results. 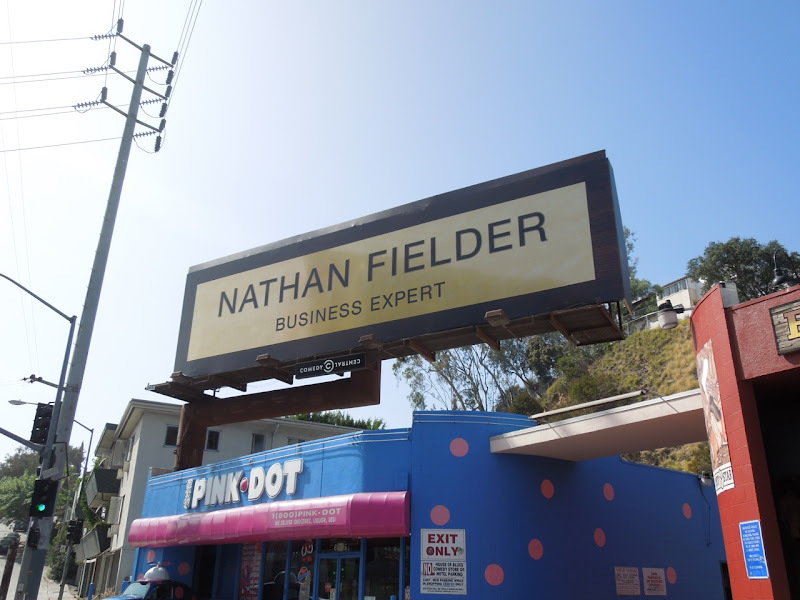 This special billboard was snapped along Sunset Boulevard on March 15, 2013 and if you like this, be sure to also check out this season three special installation billboard for Comedy Central's Workaholics (another favourite of Daily Billboard).